Incredible events at Browserling continue. While I was building a service for India, people of Cameroon in Africa found a new and unexpected use-case for Browserling. 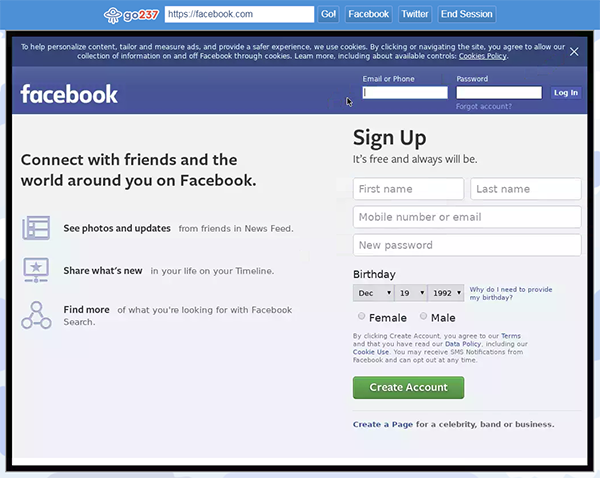 They started using Browserling to bypass government censorship and get back on social media. Long story short, there are ten regions in Cameroon. Eight of them speak French but two speak English. English speaking regions decided to separate from French regions and have their own separate government. French speaking government didn't want this to happen and sent armed forces to English regions. People filmed the events and coordinated events over social media. Government didn't like it so they blocked access to Facebook, Twitter and other websites. One of my blog readers, and a local technology leader in Cameroon, Godwill Tetah, reached out to me and asked if I could build something similar to what I built for India. I said sure, and built a custom Browserling version that enables Cameroonians to bypass blocked websites and get back on social media. This website is called go237.com. 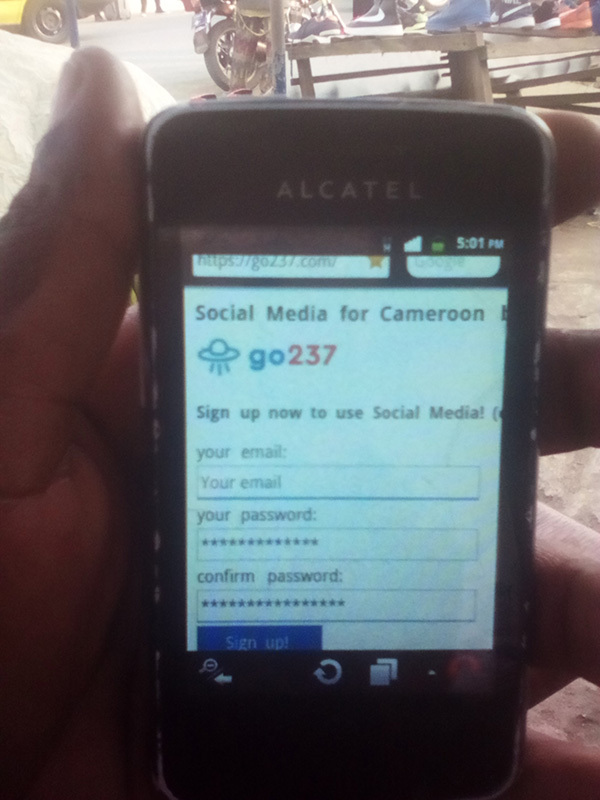 If you're wondering what 237 means, it's the country code of Cameroon. Easy to remember and share. I put it on a separate domain so that in case the government of Cameroon blocks this website I can quickly move to some other address, such as free237.com or open237.com. The website has only two buttons. Launch Facebook and Launch Twitter. Godwill also wanted that I tell my blog readers about him and post some photos that he sent me from his country. 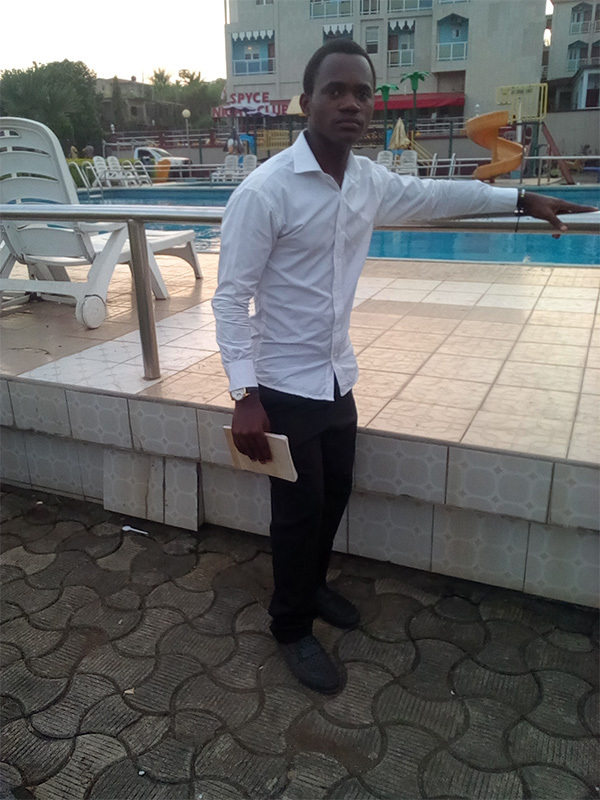 Godwill is Cameroonian and lives in Buea. He's an IT specialist and learned everything on his own. He's always been helping his friends with computer and phone problems and he's learned everything by doing. Currently Godwill is learning web development and does video editing, and has started his own company called TB Production which provides special effects to movies. Godwill says I'm his role model in programming and he wants to learn from me. He also adds that if anyone wants to be friends with him, he can be reached at godwilltetah@gmail.com. 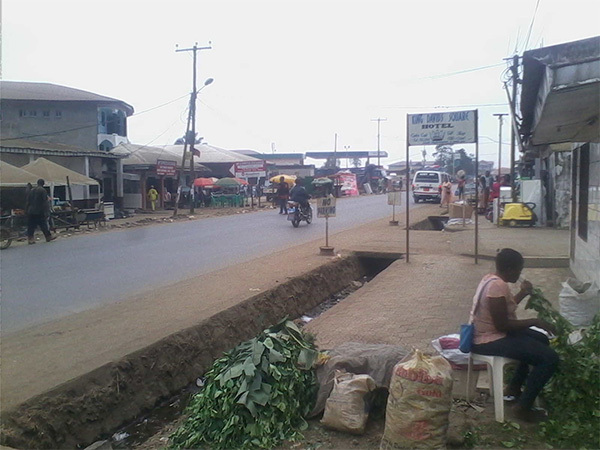 And here is his city, Buea. 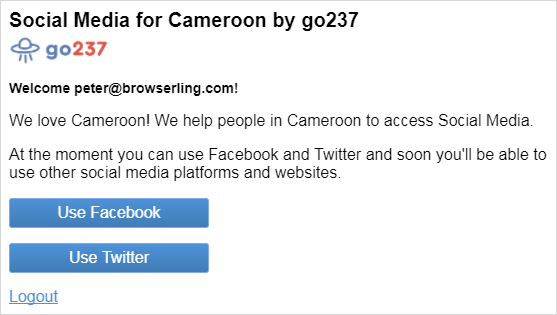 Browserling is now becoming the go-to tool for people in Cameroon to access social media. People from more countries have reached out to me and asked to build a similar tool for them. My blog fans from Ukraine also reached out to me and asked to build a similar service for Ukraine. The government of Ukraine has blocked Russian internet and Ukrainians are not able to easily access their favorite Russian websites. I'm going to build a service for them next and for other countries. Find out what happens in the next installment of incredible events at Browserling. See you next time!